Violation: Halt work on an agricultural road. Date: November 03 / 2018. Location: Qaryut / Nablus governorate. 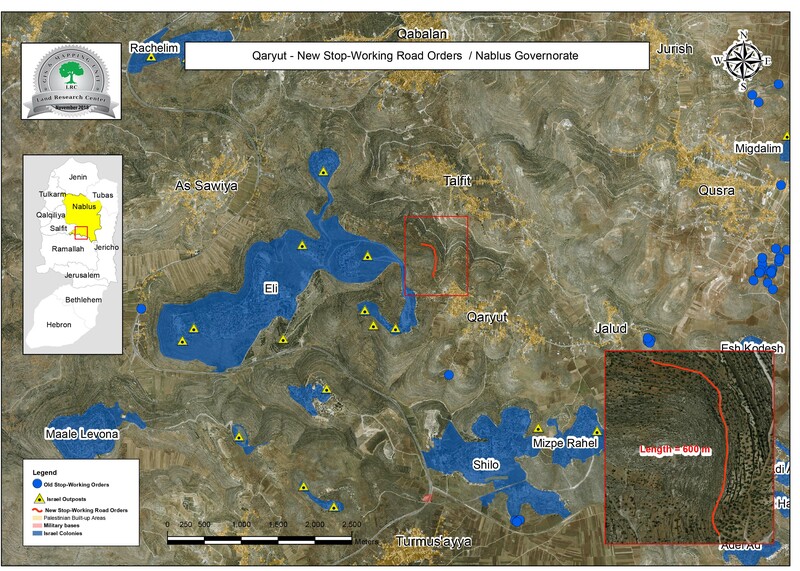 The Israeli occupation authorities halt work on an agricultural road (1500) meters carried out by Qaryut rural council, Noteworthy the road lies in B area (according to Oslo conventions) and serve about 200 farmers and 4000 dunums of agricultural land. 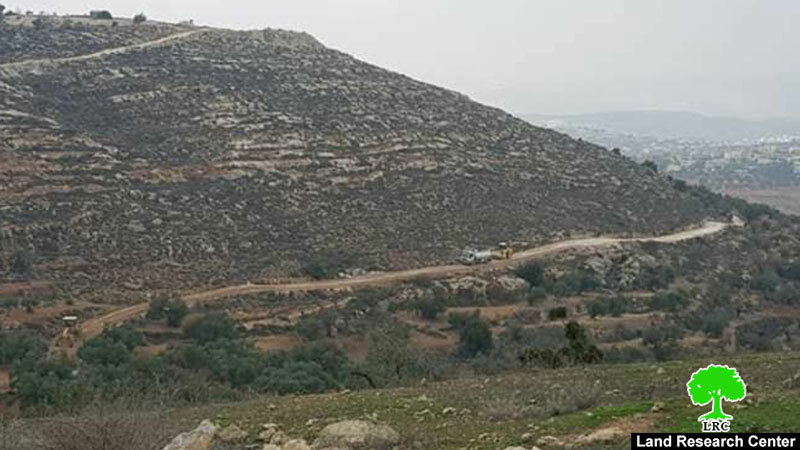 About 3:00 pm, the Israeli occupation authorities ordered to halt the work on an agricultural road, due to its close location to “Eli” colony built on confiscated agricultural lands from the town. 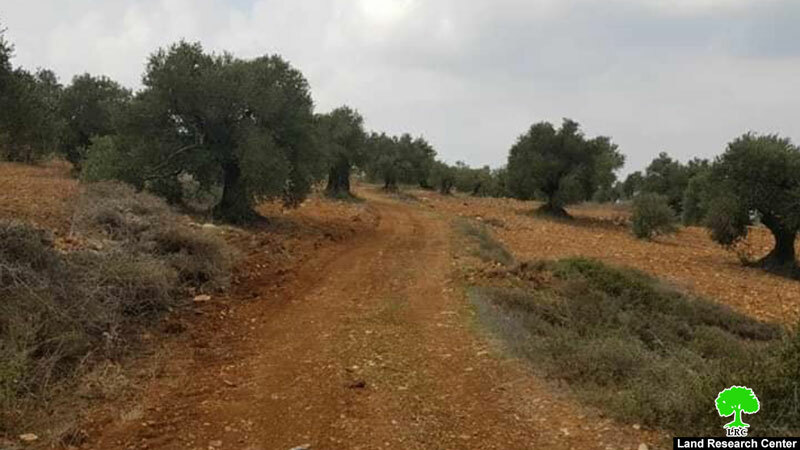 In the mean time, Israeli colonists expand freely in Palestinian lands, LRC since the beginning of 2018 documented the rehabilitation of 31 colonial agricultural roads, 4 of them in Nablus governorate, while the Israeli occupation army ravaged 3 agricultural roads, closed 6 agricultural roads with blocks, and issued “Halt of work orders” on 10 roads, other than confiscating machineries from the roads’ work locations. This aims to stop farmers from reaching their plots. 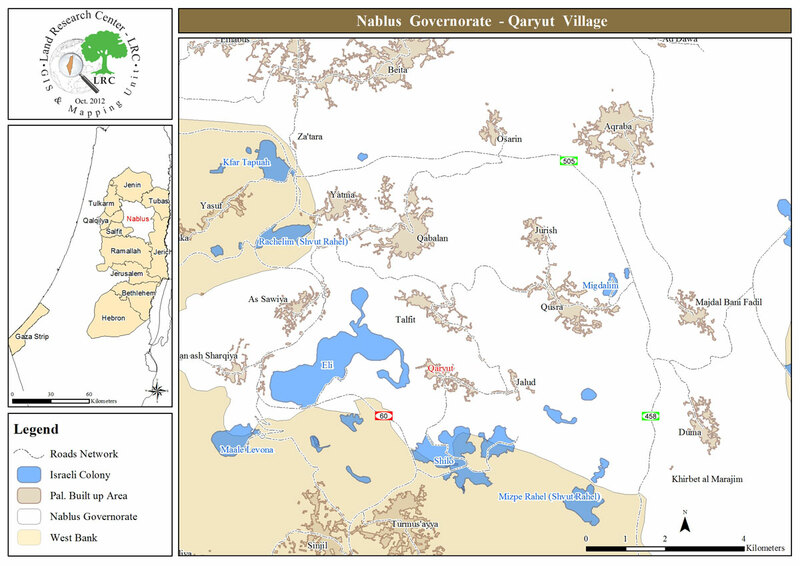 Qaryut is 20 km south of Nablus and 28 km away from Ramallah. It is one of the villages that are totally surrounded by colonies and outposts. The village populates 2560 people in 2017 census, on a total land area of 8471 dunums, of which 312dunums are the village&apos;s built-up area. 1-Every person has the right of liberty of movement and to choose his place of residence inside the borders of each country. 2-Each person has the right to depart or to come back to any country including his country. Each person legally has the liberity to move and to select his residence place.